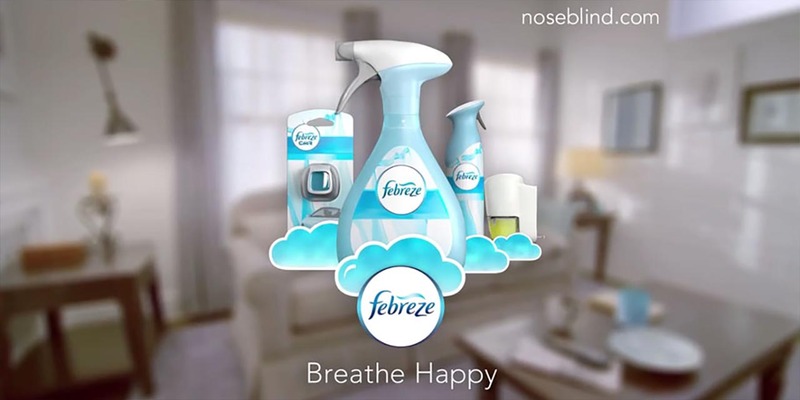 At Absolute Post, we created several end tags for the Febreze Nose Blind campaign commercials. Each very humorous spot, featured and end tag of CG versions of the Febreze products bouncing in the clouds. These end tags are completely digital versions of the real Febreze products. As well as the end tags featured on the commercials, they have also appeared on their online campaign.